Quality pest control. Competitive Pricing. Pete Quartuccio is the founder, CEO, and President of ALL SERVICE PEST MANAGEMENT, INC. He also is a former President of Certified Pest Control Operators Association Of Florida, a not-for-profit organization created to represent and promote the interests of professional pest control operators in the state of Florida. 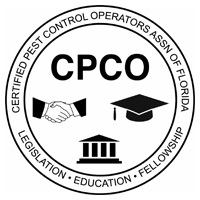 Their mission is simple: to promote the professionalism of pest control by contributing their expertise in legislation, education, safety, and fellowship. Joe Cerniglia, General Manager of ALL SERVICE PEST MANAGEMENT, INC., serves as one of the board members of CPCO for the state of Florida. That’s right – there are no obligations. We take pride in the services and products we offer and are more than happy to give you the information you need to know to make an informed decision. In fact, we provide quick, no-obligation quotes at no cost.